Full disclosure: if you are Max Kellerman or a fan of his work, I am going to bash him and his takes now. Look I gotta respect the mindset of being so wrong but continuing to argue said point until it beats you to the ground. To accept you will never be wrong in life is a gift I won't have, but man give it a rest. 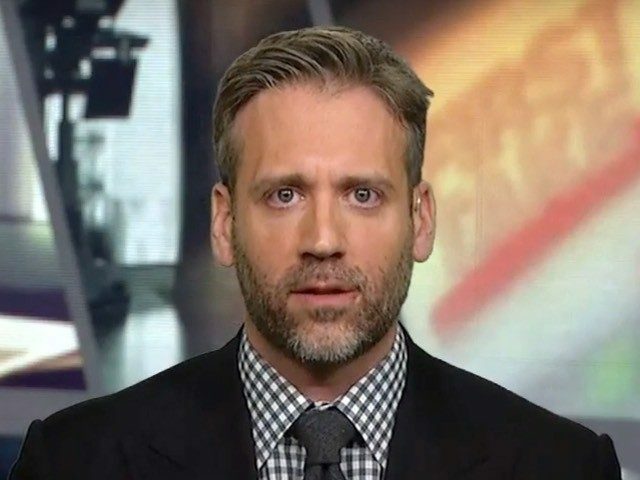 Max Kellerman is one of the hosts of ESPN's First Take which is essentially people just throwing outlandish takes at you in the morning. What better way to wake up? I think what keeps this show relevant is that people just love to get mad at things that don't actually affect them in any way (like me right now). Kellerman has been bashing the Pats all season, saying the same thing everyone has been saying for the past decade: that Tom Brady lost his touch and they can't make it to another Super Bowl. Arguably one of the best things about being a Patriot fan is weathering the storm of memes all season and then watching everyone try to dig up excuses when the Pats do everything they said they couldn't. Look I get it, 9 Super Bowls is literally the craziest stat in all of sports and I would hate the Patriots too, but the arguments against them don't even make sense anymore. After the Patriots won in KC, Kellerman only credited luck to their success. “Of course he was lucky,” Kellerman said. “The answer is unequivocally yes, obviously, and duh, he was lucky.” I would be dumb to say luck isn't part of their success, but if that is your only argument, then its time to pack it up. Sure, the roughing the passer call on Brady was a soft one, but there was so much more to it than a bad call. Finally, in regards to the overtime rules, I can understand the frustration of Mahomes not even getting the ball, but there were 60 minutes of football to not be in that position in the first place. If Mahomes hits the wide-open Williams in the 2nd quarter, its a whole different story. Again, its not fair to put it all on Mahomes for missing a play, that's just football. So yes, the Patriots are undeniably lucky with their success over the years, but we could talk all day about the many other aspects that made the Patriots as great as they are today. Just admit when you are wrong and people will forget about it, rather than continuously dig yourself in a deeper hole.